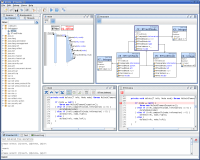 The high level object-oriented Java debugger on UML level. Download the high level object-oriented Java debugger on UML level. Names appearing on our web site maybe trademarks of their respective owners. Copyright © 2006 ds-emedia GbR.